After the 2013 airing of the Minnie Driver’s episode of the British, Who Do You Think You Are? two recurring questions popped up in our a3Genealogy email: 1) Were there Americans in the Royal Air Force (or Royal Canadian Air Force)?, and 2) Were there men of color who served with these forces? Even before America entered WWI in 1917, over 300 American citizens pretending to be Canadians were members of the Royal Canadian Air Force and the Royal Air Force. Many of the RAF service records, 1918-1919 may be found in the UK at The National Archives. Many researchers, European, African and American, may find that their ancestor, like that of Minnie Driver, of Season 5, Who Do You Think You Are? (TLC), served with the either the Royal Air Force (RAF) or Royal Canadian Air Force (RCAF) during WWII. 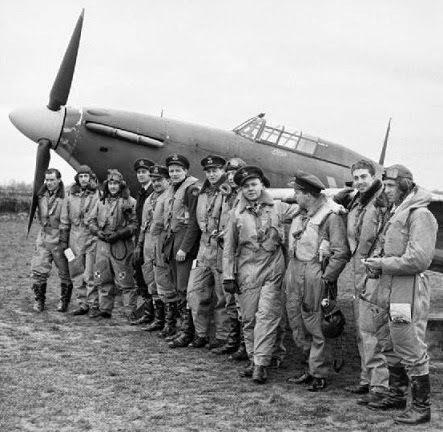 American servicemen in the RAF and RCAF during the WWII era risked their American citizenship by joining these forces. (They were later pardoned). One of the best places to begin your research is with the Royal Air Force Museum. Be sure to also visit the National Churchill Museum. 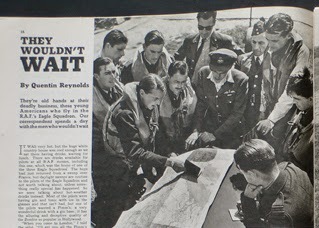 The National Archives (UK) may assist the family historian with earlier Royal Air Force personnel research. For an index of RCAF personnel between 1914-1945, visit the Air Force Association of Canada. An index of the 379 Americans bombers that served with the RCAF can be found at the Bomber Command Museum, Canada. These bombers are honored on Canada’s Bomber Command Memorial. Fold3 has a collection of photos of American RAF servicemen being conferred by the President of the United States of America. (Servicemen are identified). Begin your photo search by scrolling through the RAF Ceremonies and Decorations. 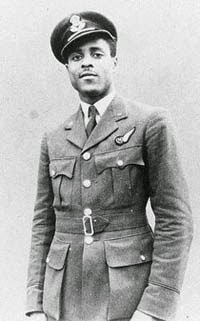 Clearly men of color was allowed to serve with the RAF. Johnny Smythe, Sierra Leone, was just one who volunteered and served with the RAF. An exhibit “RAF and the Commonwealth” shares stories of African, Asian and Carribean airmen and women’s contributions to the RAF. 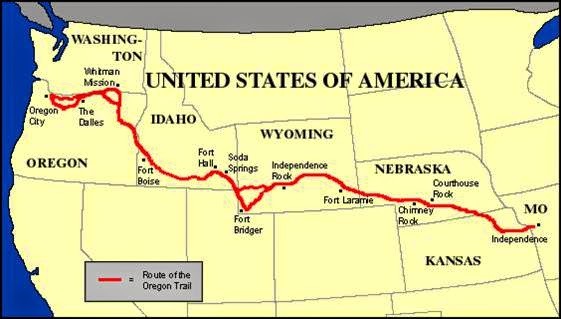 Over 350,000 pioneers travelled the Oregon Trail, often leaving Independence or St. Joseph, Missouri to arrive at their Oregon City, Oregon destination. The route was not carved in stone, and ancestors may have begun their migration from an eastern state, or even Kansas, Iowa or Nebraska. 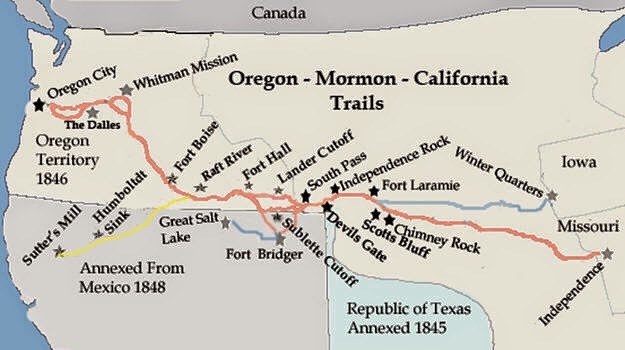 Read more about common routes at FamilySearch the Oregon Trail. But, like Kelsey Grammer on Who Do You Think You Are? Season 5, you too may be able to trace your ancestor’s Oregon Trail passage. But how do you find records that detail their cross country passage? Their method of passage? Your ancestor's experience? It is possible your ancestor traveled overland, by water, or partly by rail. A good source to understand their choices may be answered in John Unruh, Jr.'s book The Plains Across; The Overland Emigrants and the Trans-Mississippi West, 1840-1860. It is possible that Great-Grandpa left Illinois with his four (4) brothers, but only two (2) settled in California. The remainder of the party may have ended their journey in Salt Lake, or may have taken any other fork in the trail. Many of our pioneers made several trips overland. We may be able to confirm their one-way trips to California, but how did they return to Missouri? Did you know that many returned to the Mid-west through Panama - Isthmus! Be sure to check any ship records going to Louisiana ports from San Francisco or other west coast ports. What did five (5) month travelers do? Many recorded their journeys in diaries and letters back home, detailing the trip. Sometimes the diaries are filled with gruesome details as the writer recalls on paper a companion's demise. Sometimes the accounts are so detailed they read like a novel. Sometimes they just follow a train of thought, or confirm a reader's suspicion. Be sure to take a look at this bibliography of books and articles. 4 Common Places to Find Diaries? 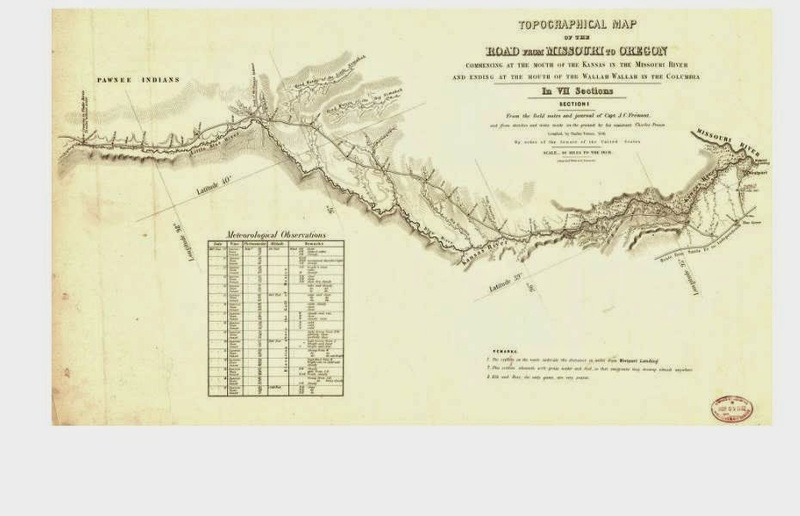 1) The Oregon-California Trails Association (OCTA) hosts of Paper Trail, an online database Guide to Overland Pioneer Names and Documents is a great place to begin your diary, manuscript, and written information search. It is subscription based, but the initial search is free. This database will GUIDE you to the correct repository. You cannot download the diary from this location, but it leads you to where to go using a surname search. 2) The Merrill J. Mattes Reseearch Library at the National Frontier Trails Museum. I must say, spending a day with this concentrated selection of wagon train resources, makes me smile. 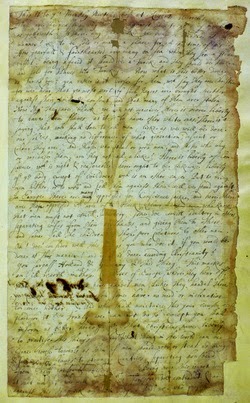 3) University of Oregon Manuscripts Collections for diaries and pioneer manuscripts. 4) Local Histories and Newspapers detail wagon trains and their departure (it was both exciting and devastating to communities and families). Small-town newspapers also reprinted letters sent "home" for the community to read; sometimes enticing others to follow, and just as frequently warnings of the danger. Besides our favorite websites: Oregon - California Trails Association that names over 48 thousand pioneers in their database, be sure to visit the Oregon Genealogical Society and Idaho Genealogical Society. Their collections hold a listing of names in their Pioneer Certificate programs. Visit Oregon Pioneer List (OPL) for settlers in Oregon prior to 1900. 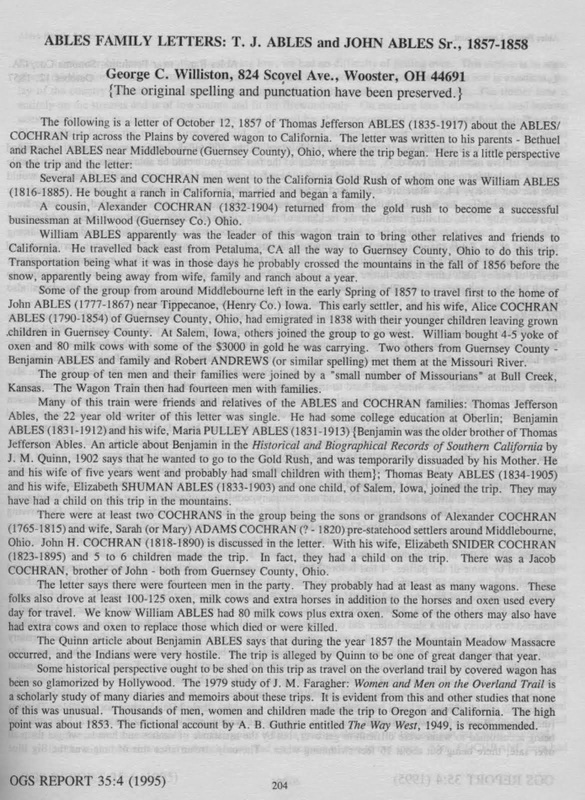 The Oregon Archives, Early Oregonian Search is a great place to begin your ancestral search for ancestors who lived in Oregon prior to its 1860 statehood. .
African Americans on the Trails? Know that “territorial laws in the 1840s dictated the expulsion of African Americans, and the state constitution similarly prohibited African Americans from residence, a provision not repealed until 1926 and 1927. The laws were a deterrent to black migration” (Oregon Historical Society). 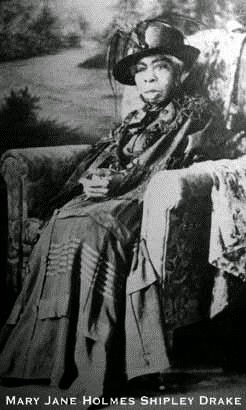 However, African Americans did travel on the trail and settle in Oregon . Be sure to review the End of the Oregon Trail: Black Pioneers and Settlers and Salem Oregon Online History, African Americans in Salem. For more information on tracing your Westward Pioneer, visit Wagon Trail Research, Part 2. The Who Do You Think You Are? Season 5 episode with Valerie Bertinelli (TLC) has once again sparked interests in American Royalty. It actually began before the 13 Aug airing of the show, just by the short preview of Bertinelli looking at a Coat of Arms pedigree chart. So as promised, we are offering a few suggestions to begin your Royal research. Can you trace your lineage to George III or even one of the 5000 plus trees posted on MyHeritage? It sounds like a daunting feat, but George III reigned from 1760 to 1820; pretty recent. His great-grandchildren lived as late as the 1950’s. If you can’t connect to one of them, don’t forget the offsprings of his many illegitimate grandchildren. And of course there’s more to Royalty, than the British. At a3Genealogy, this year alone, we have confirmed four Royal Connections for clients (plus one for the media) by initiating our research using the Royal Ancestry: A study in Colonial & Medieval Families by Douglas Richardson which identifies “over 250 individuals who emigrated from the British Isles to the North American colonies in the 17th centuries.” Of course, in this day and age, we usually are able to solidify our findings with DNA tests results. Other sources, like The Royal Collection on ancestry.com, may also help with your initial research. Burke’s Peerage. What does Britain, Spain and Moraco, ...(and all other) royal research have in common? They usually begin with Burke’s Peerage which is the foundation of most royal research. The goal is to take your family tree from America and connect to established Royal genealogies. Serious researches turn to the New England Historic Genealogical Society (NEHGS) to stay abreast of "royal and noble genealogy." 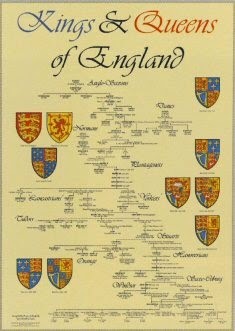 Ancestry.com has the Burke’s Family Records that “records the genealogy of the junior houses of British nobility, and the Burke’s Peerage and Baronetage Genealogical and Heraldic, Vol 2” which may also be helpful in launching your Royal research. Coat of Arms Review. As seen on the Valerie Bertinelli episode of Who Do You Think You Are? 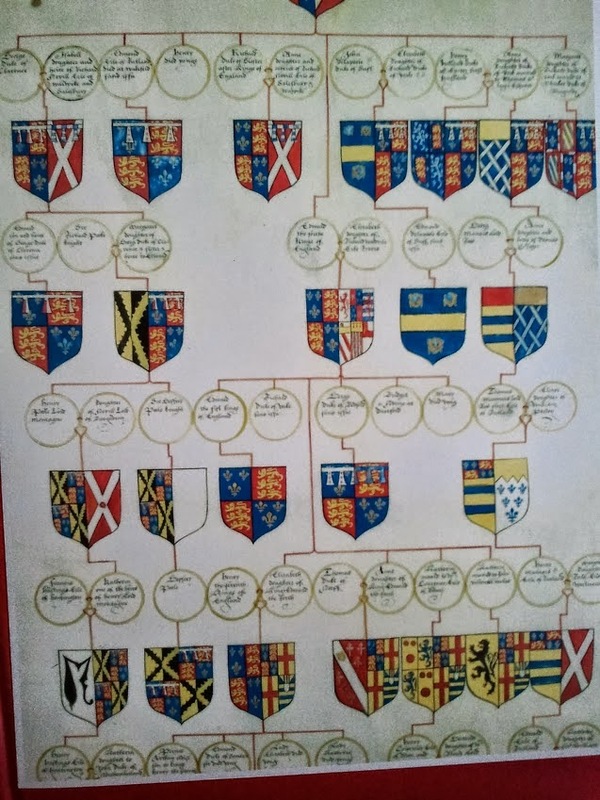 (Season 5, TLC), a coat of arms pedigree chart is quite the treasure. But, bee sure to understand Heraldic Practices before adopting a coat of arms. This article, Coat of Arms and Family Research, may keep you from making common errors in your genealogy. Land Deeds' Secrets. Be sure to check wills, and probates, but especially land deeds. The long practice of our ancestors gifting property to illegitimate children has always been a welcoming find for making genealogical connections. Surname Analysis. When researching for one of the media outlets, a common practice for a3Genealogy researchers is to search for “Royal” surname matches with that of celebrities, dignitaries and ancestors. You don’t even have to reach that far. Ellen De Generes is Kate Middleton’s 14th cousin twice removed. Read What do Kate Middleton, George Washington and Ellen DeGeneres have in common? And, in 2008, Sarah Palin was proven to be the 10th cousin to the late Princess Diana. DNA Projects. Did you know a DNA study on the surname of Stewart/Stuart proved that over half the men carrying that surname were descendants of Scotland’s Royal dynasty? Be sure to review the Surname DNA Journal: Y-DNA of the British Monarchy. Connecting with Society Members. Connecting to Royal ancestors is not new. The interest to create or maintain relationships has not only been a practice, but practically an obsession through the years. Review the Sovereign Colonial Society Americans of Royal Descent, Pennsylvania, founded in 1867 which includes descendants of all Royal Houses, medieval and modern. A proposal (for invitation to the Society) must prove one “is a descendant of one or more Kings through" an American ancestors. In spite of much controversy, the connection of Queen Charlotte, wife of King George III, to the Portuguese Royal House of Moorish descent is well known. However, many would argue that at best, Queen Charlotte was the second “Black” Queen, the first being Queen Philippa, the wife of King Edward III, and also of Moorish descent. We are sure the doubts and denials will continue in spite of Moorish rule and connections in various European dynasties, and historical arguments and proof. 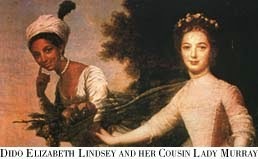 Yet, in spite of the Queen Charlotte controversy, there are so many other African American connections to royalty due to offsprings born in slavery, miscegenation, and the abundance of mulatto bloodlines. With proper genealogical research and DNA, African Americans can also prove their European Royal bloodlines. With popular genealogy shows like that of Valerie Bertinelli on Who Do You Think You Are? (Season 5, airing on TLC) where she explores her Italian heritage, we know the questions will once again pour in on how to get Italian dual citizenship. We have already had the expected questions "Does Valerie Bertinelli have dual Italian Citizenship?" "Is she eligible for Italian dual citizenship?" Well, even Ms. Bertinelli has to show proof or eligibility, if she does not already have her dual Italian Citizenship. If you meet the eligibility requirements outlined, and already have the documents needed (see below), then you can package it and set an appointment with the Italian Consulate. If you need the genealogical proof and needed documents, however, be sure to review this useful guide to obtaining your dual citizenship. The 3 Steps Plan to Dual Citizenship? 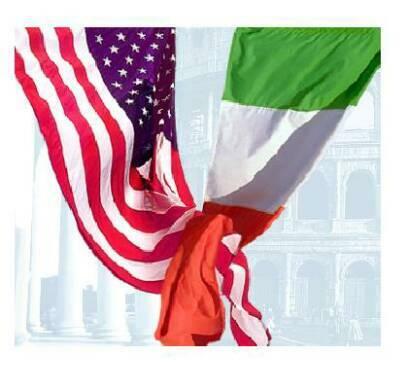 All you have to do, is to submit your paperwork to the Italian Consulate. (We'd do that too, if they'd let us, but they don't!). The process, however, is not for the faint of heart or for the impatient type. We are finding that collating a complete paperwork package takes between 3-4 months. If your ancestor's surname changed, or if there are apparent errors on certified certificates expect a little longer. And remember, full proof of your genealogical lineage must be shown through the various documents. Once the paperwork is submitted and accepted by the consulate, then you wait. Your direct line ancestor, grandfather, grandmother, great-grandfather, etc, emigrated after 1861 and was an Italian citizen.. Your immigrant ancestor did not become an American citizen before his descendant (your direct line) was born. So if the lineage is from you, your father, and grandfather, your father would have been born prior to your grandfather’s USA naturalization date for you to be eligible. 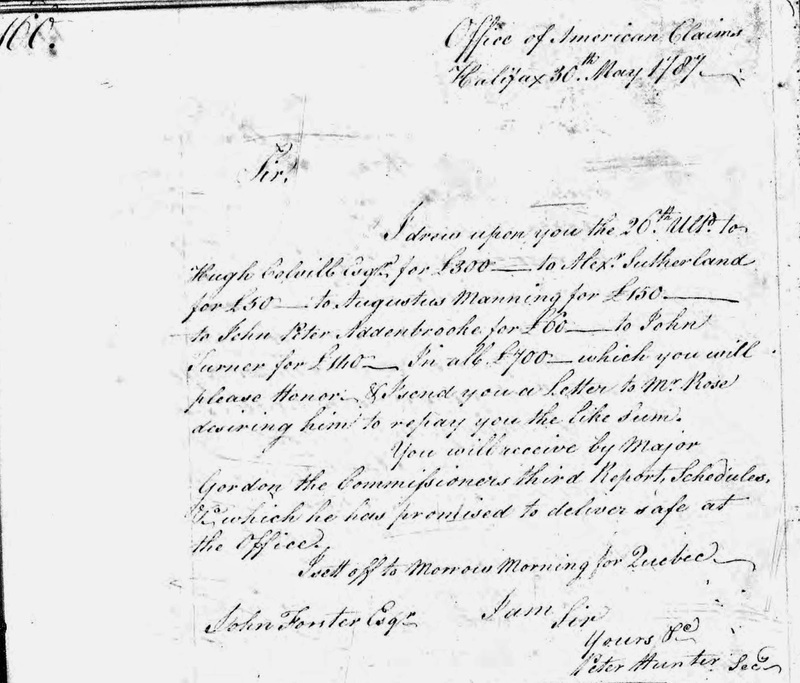 Proof of naturalization date or proof that your immigrant ancestor was never naturalized. Translated birth certificates for you and your direct line to the immigrant ancestor and spouses as well as your children. Translated marriage certificates (into Italian). Of course a3Genealogy uses experienced translators dedicated to meeting dual citizenship requirements. Failing to meet the requirements of Items 1-3 (above) are most often the reasons an Italian descendant is determined ineligible. 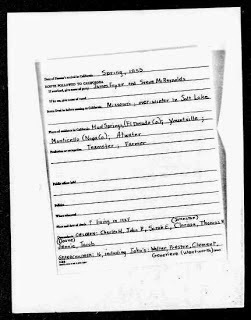 Our clients find it convenient to hire a3Genealogy specialists in lineage research to confirm these basic eligibility requirements have been met, prior to translating marriage and death certificates and searching for Italian birth certificates. Canadian research can be quite fascinating, as seen on WDYTYA with Rachel McAdams and sister Kayleen. Knowing the 18th century history and settlement of Canada reveals a few interesting facts. Canadian researchers will find that one Canadian in ten has a Loyalist ancestor. Descendants of these Loyalists are widespread, as kinship – cousin DNA matches have proven. Descendants of loyalist traced to Canada, may have originated in the United States, or settled in one of the other British commonwealths – Australia, New Zealand or another British Colony. A Loyalist (also called a Tory) was a North American colonist who sided with the Empire, and was loyal to the British crown during the American Revolutionary War, that began in 1775. Land and property of Loyalists were seized during the War. And, these “King’s Men” often left the colonies. 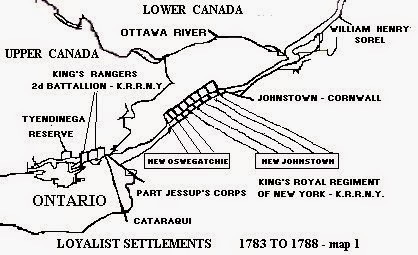 Up to 100,000 Loyalists settled in Canada beginning in 1776. It was the Boston Loyalists noted for the first large exile to Canada in 1776. New York was a stronghold that did not fall to the “rebels” and can boasts the greatest number of Loyalists. In determining eligibility for compensation for War losses, Britain identified Loyalists as those born or living in the American colonies at the outbreak of the War and rendered war services to the Crown. Britain classified Loyalists as those who left America by the end of the war or soon after. These honored Loyalists, given the United Empire Loyalist (UEL) title, settled in Quebec, modern day Ontario, and in Nova Scotia (News Brunswick). 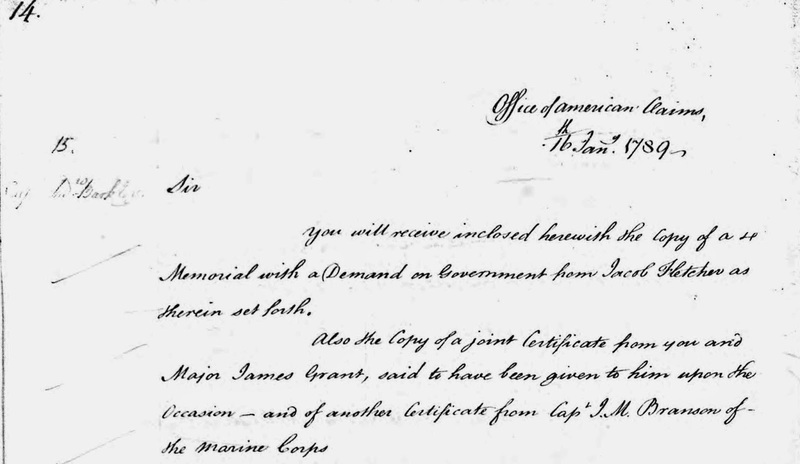 Although many Loyalists returned to America after the War, those who remained and complied with the parameters set forth were awarded land grants of 100 to 1000 acres for Army Officers. The average family was awarded 200 acres. 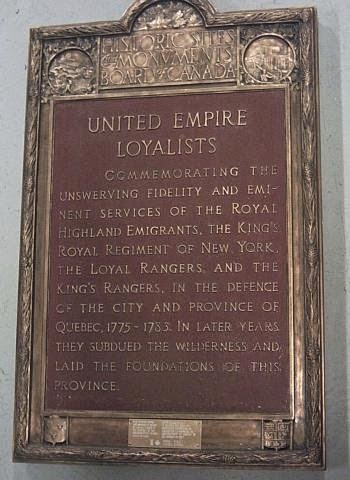 (See The Old United Empire Loyalist List below). Know that others may be considered “late loyalists.” Visit Historica Canada for more information. 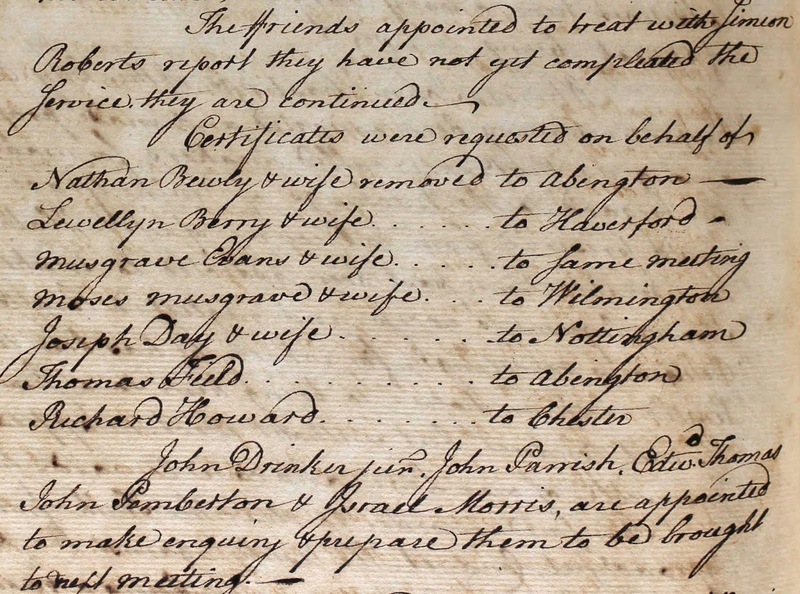 Like the Loyalist/Tory ancestral research conducted on WDYTYA, Rachel McAdams episode, Season 5, researchers are able to uncover worthy information of their American Revolutionary War Loyalists who settled in America or in Canada. This may include military officers or others who served the Crown. As mentioned, your ancestor may be found on both sides of the border, as many exiled Loyalists returned to America after the war. In addition to the five resources below, be sure to use the keyword “Loyalist” in the ancestry.com catalog for indexed images of papers, books, deeds, and patents. 1. The Old United Empire Loyalists List, 1885 (United Empire Loyalist Centennial Committee), has been indexed on ancestry.com. Unfortunately the original documents are not shown, but the transcriptions are quite useful in uncovering 7000 Loyalists and their descendants. 2. Order Upper Canada Land Petitions, 1783 – 1865. These land petitions contain petitions for grants or leases of land and other administrative records for over 82,000 references to individuals who lived in Ontario between 1783 and 1865. 3. Review Letters and Diaries and NY Loyalists. Military officers and Loyalists often corresponded via letters or recorded events in diaries. Here are two resources giving an account of New York’s Revolutionary War history That Ever Loyal Island: Staten Island and the American Revolution by Phillip Papas is filled with names, dates, and social content of Staten Island and the Loyalist sentiments. 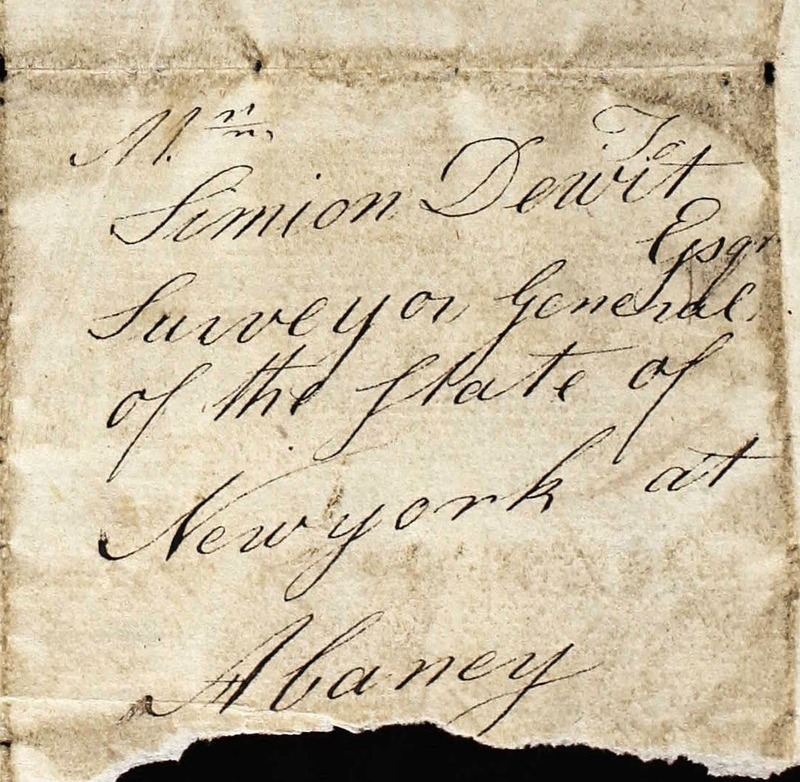 Notes of Chapter 5 give a reference to various loyalist claims by names; and Merchant and Redcoat: The Papers of John Gordon MaComb, July 1757-1760, Albany New York. This bound 3 volume doctoral dissertation captures the early life of Albany, NY leading up to the American Revolutionary War highlighting The Papers of John Gordon MaComb, July 1757 to Jun 1760 (New York, British Army). A copy of the dissertation may be ordered from the University of Michigan, Ann Arbor library. 4. Loyalist Muster Roll Index The National Archives of Canada holds various volumes (C" Series”) that gives an account of the Loyalist Muster Rolls. 5. Library and Archives Canada. Researchers must be familiar with the holdings of the Military Research collections at the Canada Library and Archives. 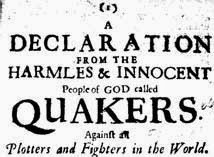 In exchange for their freedom, free-coloreds and slaves, as early as 1779, were encouraged to fight for the British. Over ten percent of the Loyalists that arrived in the Maritime colonies of New Brunswick, Nova Scotia and Prince Edward Island were black men, women, and children. However, few realize that since slavery was legal in Canada there were also slave-owning Loyalists from the 13 colonies who migrated with their slaves. Approximately 2000 slaves arrived in Canada - 5500 in Upper Canada (Ontario), 300 in Lower Canada (Quebec) and 1200 in the Maritime colonies.